The iconic heritage boot and leather goods brand Red Wing has been in production since 1905 and has earned it’s reputation as one of the most reliable and high quality footwear and accessories purveyors on the market. This timeless Leather Card Holder benefits from the edition of four card slots and a paper currency pocket. The wallet is designed to provide easy access from your pocket and be hard wearing. Red Wing branding can be found on the front. 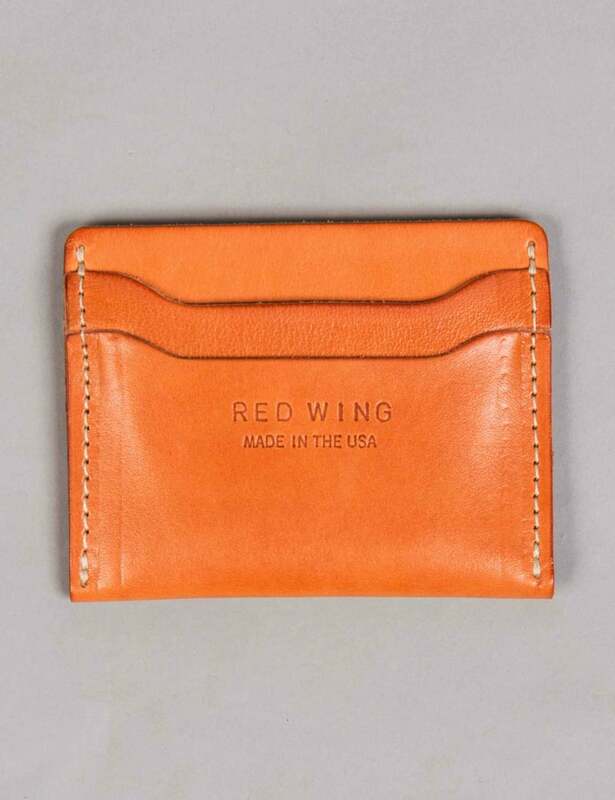 View the full range of Red Wing wallets here.